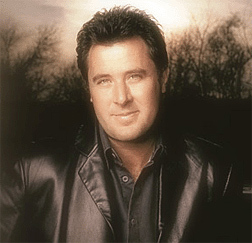 Vince Gill knows no boundaries with his music. He plays country, bluegrass, jazz, and rock. He has performed with everyone from The Grascals to Reba McEntire to Barbara Streisand. He will team up with American Idol rocker Daughtry during the CMA Awards this year to perform "Tennessee Line" from Daughtry's current album. To hear the song, watch the video below.